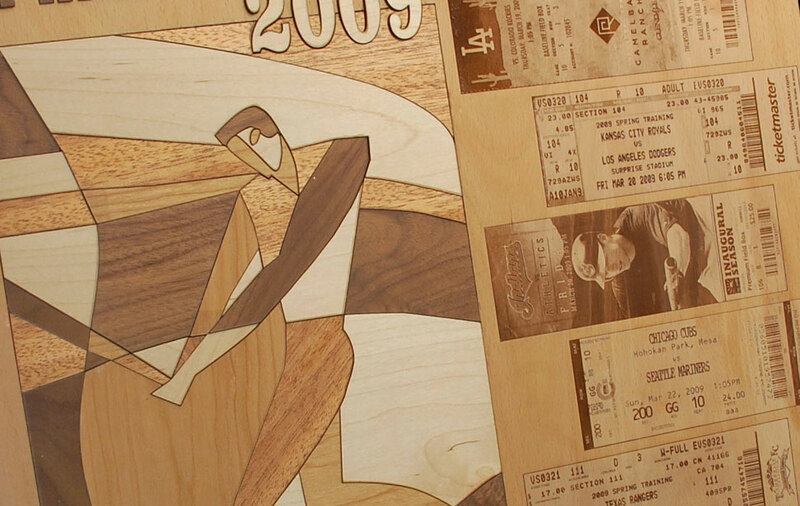 Laser engrave a table full of parts with serial numbers, barcodes or logos. and how it can work with your barcoding application. 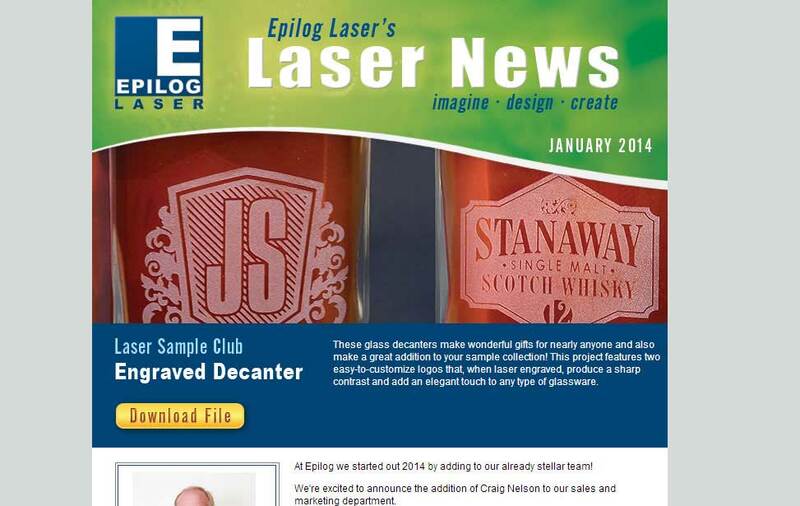 Laser engrave your barcodes, serial numbers, and logos with an Epilog Laser system. Our fiber laser systems directly engrave or mark any bare or coated metal including stainless steel, tool steel, brass, titanium, aluminum and much more, allowing you to create a variety of mark types in no time! 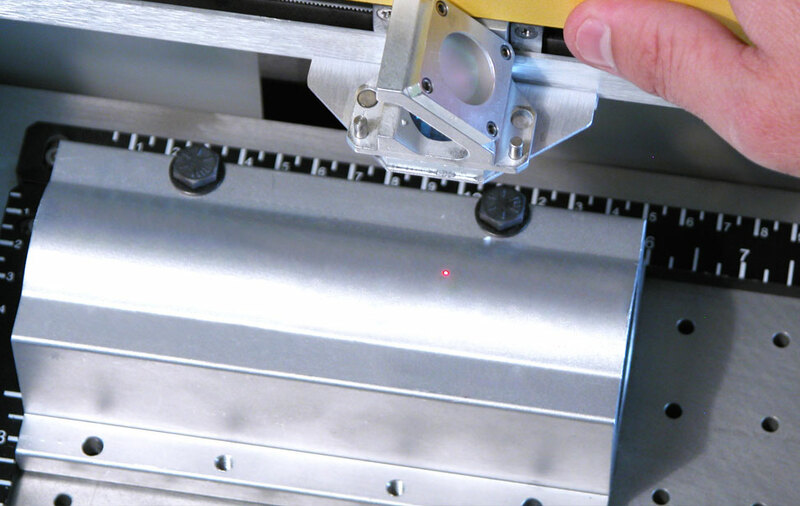 Whether you're engraving one piece at a time or a table full of components, with its easy setup process and precise marking capabilities, a fiber laser is an ideal choice for custom barcode engraving. 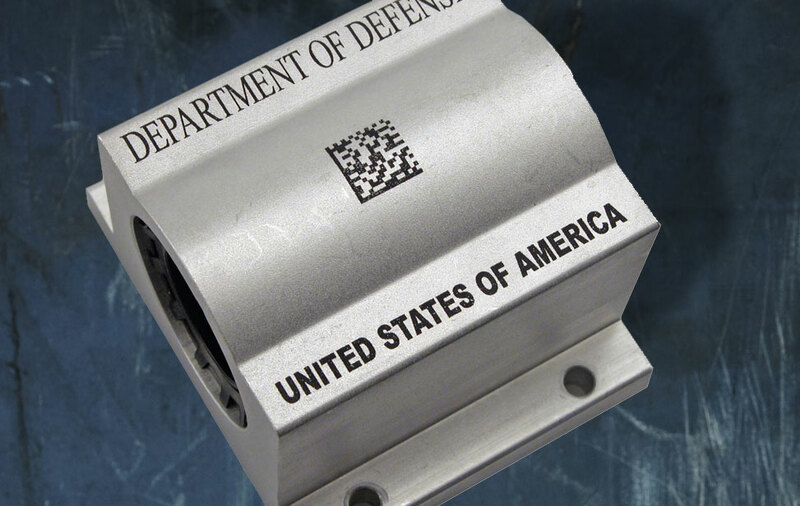 Etch barcodes on all types of metals with a fiber laser system, including stainless steel, machine tool steel, brass, carbon fiber, and more. To see how your material will work, let us know via our Materials Testing form and we'll test it in our Applications Lab. 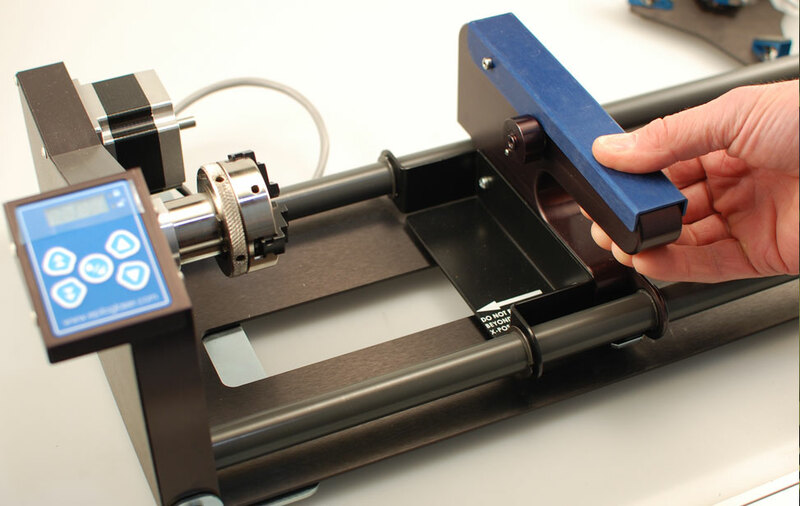 Create a jig to place your parts or labels and engrave barcodes on hundreds of pieces at one time. You can easily place your jig of parts into the machine either through the top window door or the front-loading access door. Easily position your items for engraving. Use the top left corner as your home position, or move the laser head to a custom spot on the engraving table that will work best for your part/component. 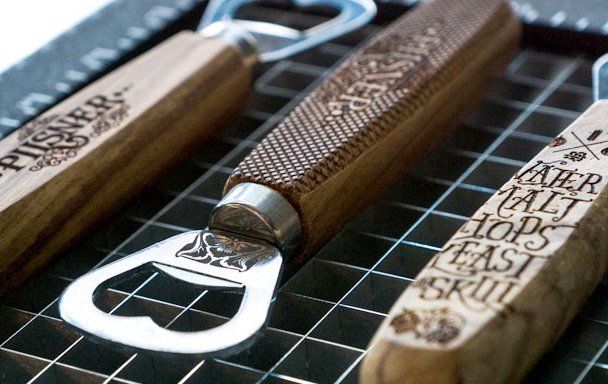 Laser engrave on cylidrical parts and tools with our two Rotary Attachment options: a Rim-Style Rotary with quick setup for simple shapes, and a 3-Jaw Chuck Rotary for precise etching. Add the ability to engrave and/or cut acrylic, wood, stone, rubber and more to your fiber laser system with our dual source option. We'll add a CO2 laser for the highest laser versatility available. Engrave barcodes even on your largest parts and tools - up to 40" x 28" x 12.25" (1016 x 711 x 311 mm) with our Fusion M2 40 laser machine. 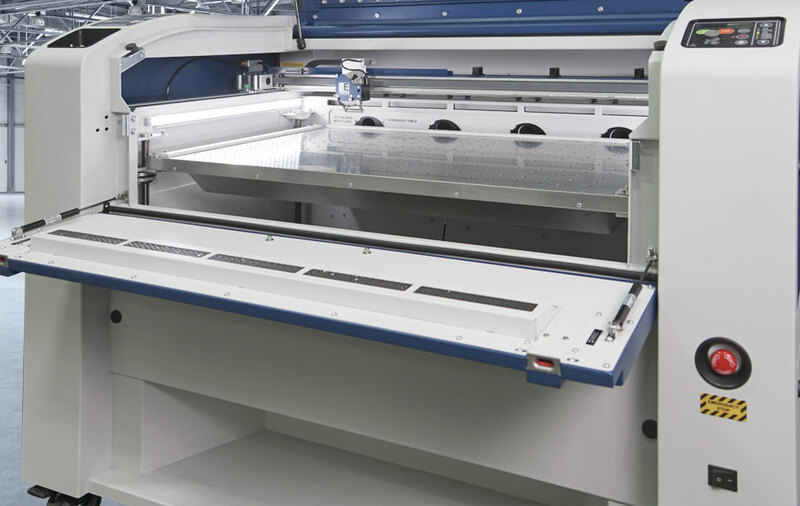 The flying-optic design provides the largest work area, along with a variety of other useful add-ons and features! 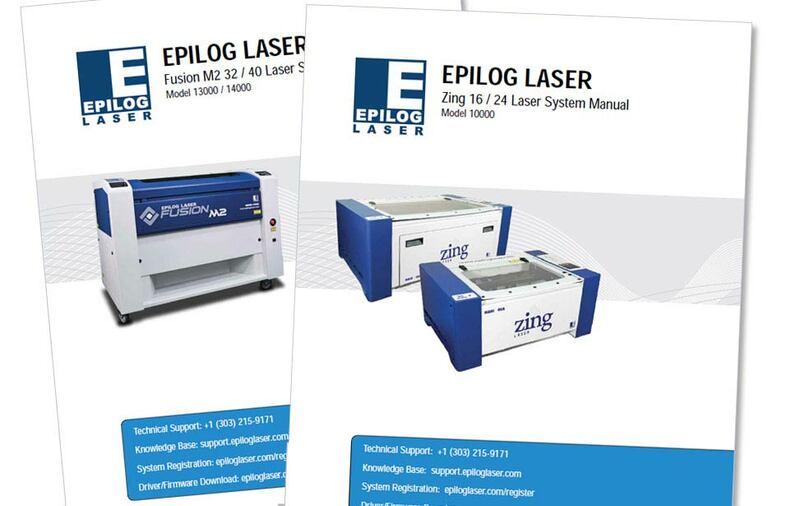 The Fusion M2 laser system is Epilog Laser's newest flatbed fiber laser machine, perfect for engraving barcodes and marking metals and engineered plastics. The Fusion M2 is available in 32" x 20" (812 x 508 mm) and 40" x 28" (1016 x 711 mm) models and features our highest engraving speeds and our standard top-notch quality. Available accessories: Dual Source, eView Camera Module, Rim-Drive Rotary, 3-Jaw Chuck Rotary. CAN I ETCH BARCODES ON LARGE ITEMS? 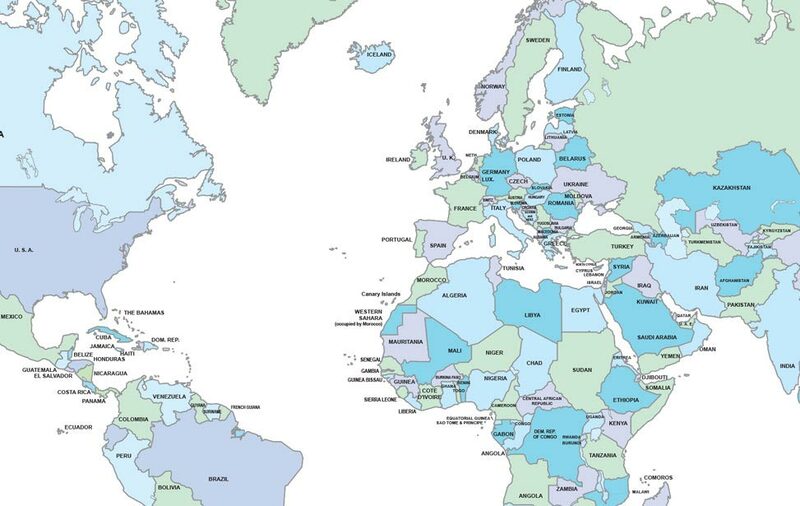 There is no proprietary software with our barcode etching system. 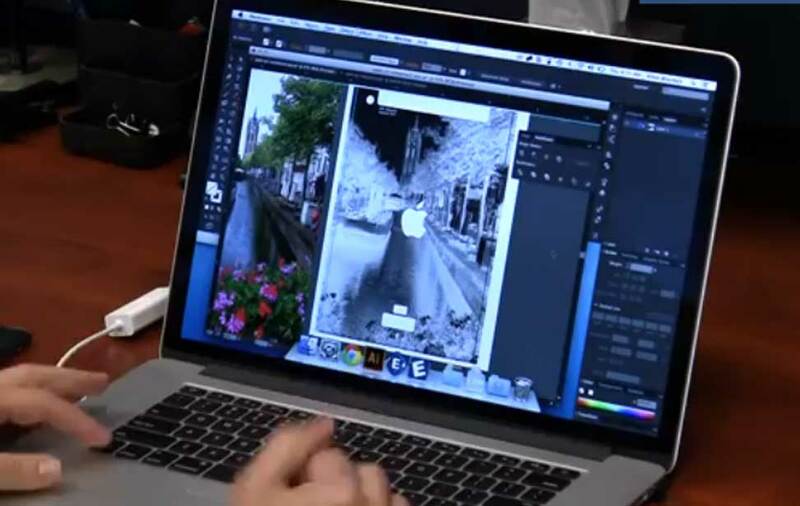 Setup the job in the design program of your choice and print to the laser. 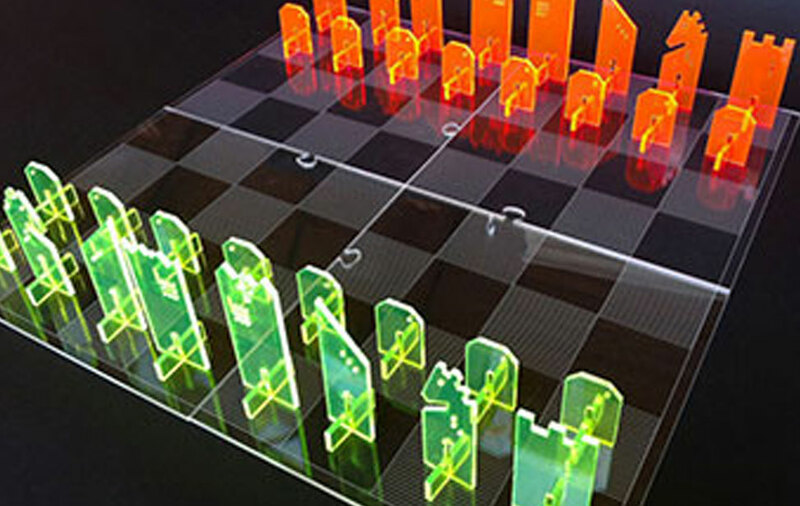 The fiber laser laser source creates a laser beam with a 1062 nm wavelength - idea for etching metal and marking plastic. With the ability to engrave up to 1200 dpi images, barcodes can be engraved even at the smallest dimensions. 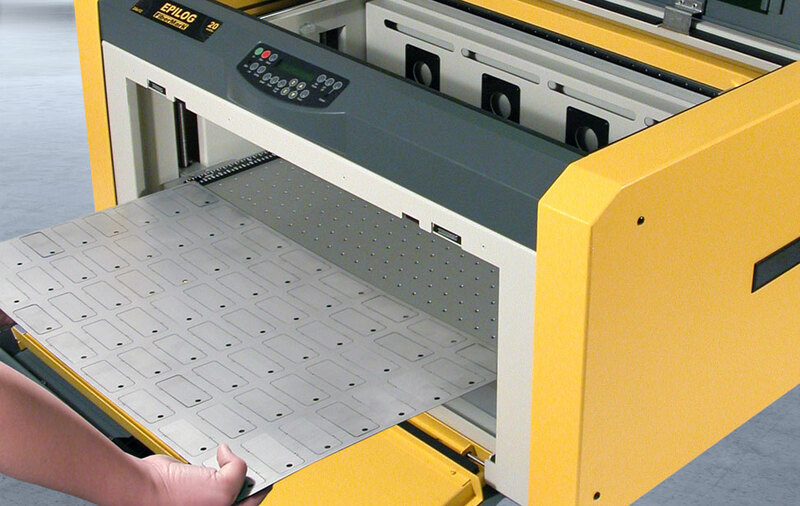 You can easily engrave 2D, Datamatrix, UPC, or any other type of barcode with a laser engraver from Epilog Laser. Contact us at 905-608-1188 or fill out the form above to learn more! 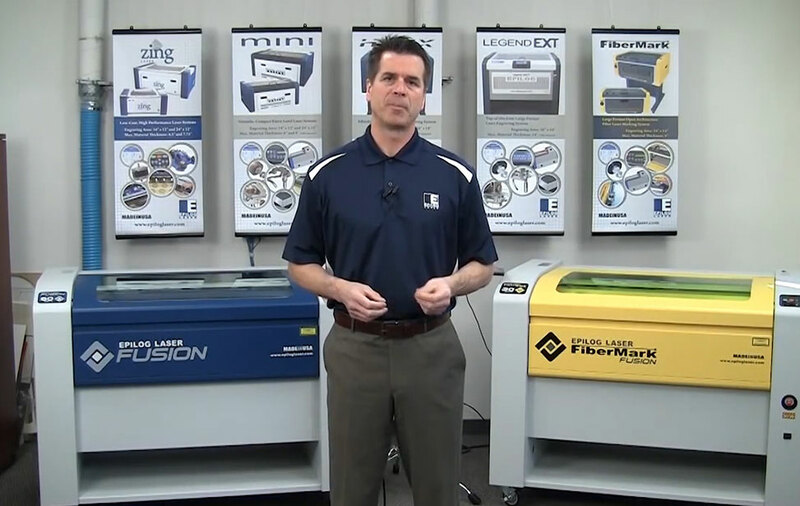 Over 50 pages of barcode engraving and metal etching information including a look at the different types of marks you can make with a laser, tips on how to reduce overall cycle times, what are the types of lasers for metal etching, and more.